Country Living with Comfort & Convenience! 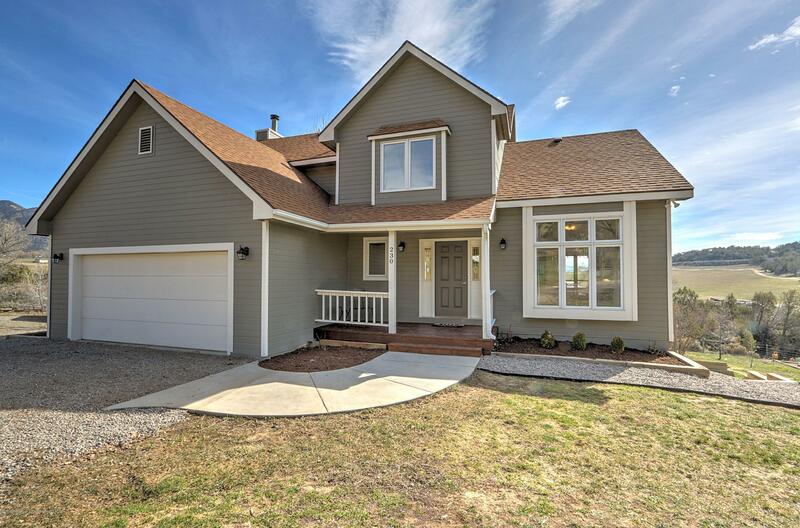 Get inside this updated 3 bedroom, 3.5 bath home, situated on 2.3 acres on popular Silt Mesa, with plenty of room for guests and animals. Enjoy an updated kitchen and bathrooms, new trim and doors, new flooring, appliances, interior and exterior paint and more. The upper level master suite is spacious with multiple closets, an updated bathroom and a balcony with views of the mesa. On the main level you will find kitchen, dining and living spaces with lots of windows to take in the views, a wood burning fireplace and a large deck for enjoying the shade on summer evenings. The walk out lower level offers additional living spaces, a laundry room, one bedroom and an additional office/playroom.